Before you can run a Eurocon, you need to win the right to host the Eurocon. Taking part in the process to be voted a Eurocon is often referred to as bidding for a Eurocon. The convention hosting the vote, is running the vote for the Eurocon two years forward. While no notice needs to be giving, with a bid entitled to announce its standing at the First Business meeting of a Eurocon, it is advised to consider making people aware of your intention to bid. Voting for the Eurocon is split into two blocks. That is the votes of the National Delegates, and the votes of the europeans attending the Eurocon. To win the vote you must have the most votes, and win support of 35% of both groups. A ‘no treating’ rule must be observed. It is also recomended that you read the following documents before you begin the bid, or at least before running your Eurocon. 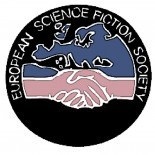 This document provides a list of the requirements of the ESFS from the Host of a Eurocon. Some are required by the ESFS Statutes, while others are best practice that has developed based on our experience with previous Eurocons. You should be aware that you will be expected to provide these things if you selected to be the Host of a Eurocon. This guide contains suggestions and advice. The version here arose out of an open consultation following ESFS’ 2006 business meeting in Kiev, Ukraine. Following the consultation further comment was provided by two Eurocon regulars (one an ESFS Officer and the other an SF professional). Following discussion at the ESFS 2007 business meeting in Copenhagen it was agreed that the ESFS Officers would arrange with the guide’s compilers some further minor changes. This project was conducted with the assistance of the Science Fact & Science Fiction Concatenation. Comments are most welcome especially from those considering submitting a bid. Depending on comments received — be they corrections, further suggestions or comments on usefulness — this guidance may be refined or expanded.